"This week's course, Aronimink, hasn't been used before in the playoffs but it did stage the PGA Tour's AT&T National in both 2010 and 2011. Rose won the first of those with 10-under." Interviewed in Boston, Rory McIlroy said the FedEx Cup playoffs feel like one long, big tournament - and that feeling is probably magnified this week with the Dell Technologies having a Monday finish. It's not surprising, therefore, that the key to finding the winner in this third leg of the playoffs is to see who's done well in the first two. These are the last 11 winners of the BMW Championship along with their full results in the four final series tournaments. The above list reveals that seven had posted a top three in the first two events while 10 of the 11 had delivered a top 10. Following that strategy helped this column pick out 45/1 winner Marc Leishman last year. The Aussie had finished third at the Dell Technologies and rode that hot form to victory here. There's no reason to desert a winning formula so, in similar fashion to 2017, here's a list of the players who've posted at least one top 10 in the first two playoff events (Northern Trust, Dell Technologies Championship). Those with a top three are in bold. Abraham Ancer, Rafa Cabrera Bello, Patrick Cantlay, Bryson DeChambeau, Tony Finau, Emiliano Grillo, Billy Horschel, Dustin Johnson, Brooks Koepka, Hideki Matsuyama, Ryan Palmer, C.T. Pan, Justin Rose, Adam Scott, Cameron Smith, Justin Thomas, Bubba Watson, Aaron Wise. 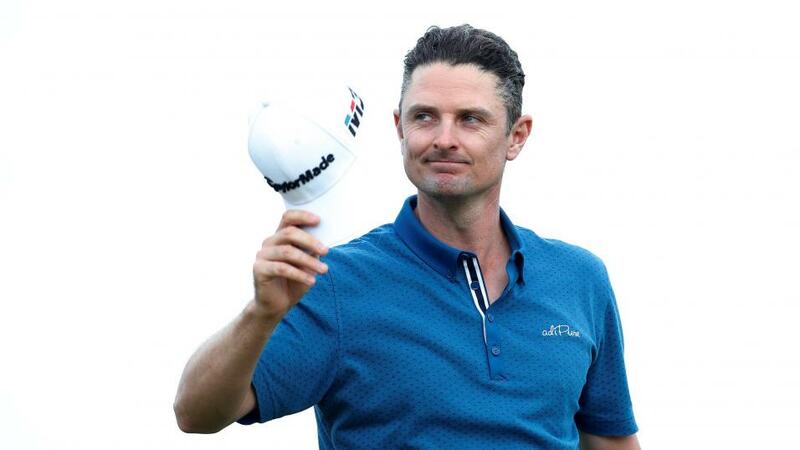 My main bet is Justin Rose at 12s. This week's course, Aronimink, hasn't been used before in the playoffs but it did stage the PGA Tour's AT&T National in both 2010 and 2011. Rose won the first of those with 10-under and he returns to the Donald Ross-designed par 70 in Pennsylvania on the back of second place in the Dell Technologies. Also a runner-up at Carnoustie in July, the Englishman has been playing great golf most of the year and a second win to follow up his victory at Colonial would represent a truer reflection of his high-class consistency. It's an obvious play but I think it has every chance of being a winning one. Sticking to the in-form angle, I'd kick myself around the room if Cameron Smith took the trophy and I wasn't on. With two third places in the playoffs, he's shown his obvious class, gaining over 10 strokes in both tee-to-green and putting when crunching the numbers of his combined performances at the Northern Trust and Dell Technologies. Explaining his hot form, the Aussie said at TPC Boston: "I had my coach come in last week, we worked on a few things. Really got back to my roots and what I do best. "Spent a lot of time around the chipping green and putting green last week. Tweaked a few things and everything has fallen into shape." Tied fifth at Augusta National earlier this year, Smith has ranked third and sixth on the All-Around stats the last two weeks and the gap of just three days between the end of the Dell Technologies and this event should allow him to stay hot. Although he didn't play the Wyndham Championship on Donald Ross's Sedgefield this year, Smith did go there last year and finished T7. He struggled either side but soon after he took T12 in this event at Conway Farms and then went on a run of 5-3-4-1 over the CIMB Classic, CJ Cup, Australian Open and Australian PGA. In other words, once he's found the right wave, Smith can surf it for a sustained spell. That's exactly what we're looking for this week so take him at 50s. At the time of writing, it's unclear if Rafa Cabrera Bello will get a wildcard pick although the general belief is that there might just be too many obvious candidates in front of him. Even if we know, elation or disappointment could make him respond either way so I'll focus instead on his bare results. RCB put himself on the wildcard conversation with some strong play over the last month. The Spaniard was T17 at Firestone, T10 at the US PGA, T11 at the Wyndham and T7 at last week's Dell Technologies after three 68s and a 69. Rafa ranked 1st for greens in regulation at TPC Boston last week so, despite admitting he's played a lot of golf lately, he's certainly in a groove. Should Cabrera Bello not get the Ryder Cup nod, this will give him a new focus. He jumped from 59th to 37th in the FedEx Cup rankings with his strong performance in Boston so knows another good week will get him to the Tour Championship at East Lake for the first time. With that incentive, I'm happy to overlook the possible fatigue and disappointment and back him at 60/1. My fourth pick, if I'd had one, would have been Hideki Matsuyama at 22s although I was much keener at the initial 28s obviously. The Japanese star is getting better by the week it seems and his late-season run includes T11 at Ross's Sedgefield. His top four last week could be the springboard for victory here. The Punter's In-Play Blog: Is Rory primed to win the Dell for a third time?